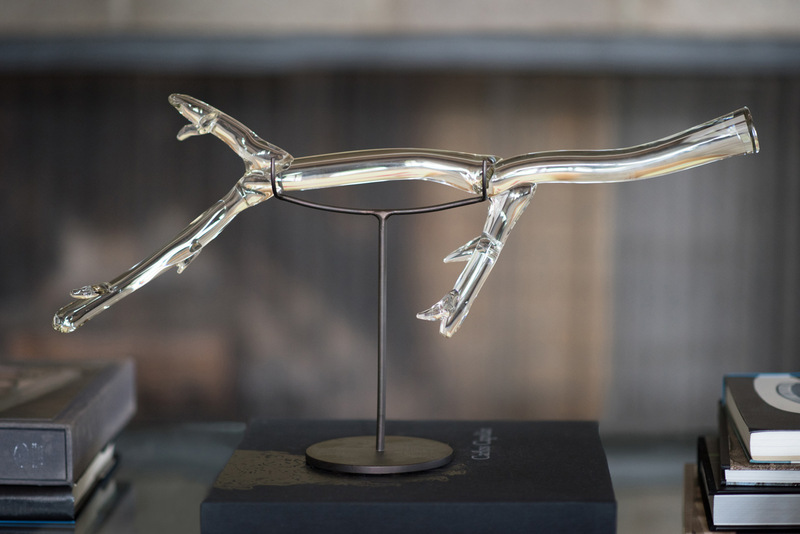 Cutting is a handblown Czech glass sculpture that evokes a leafless tree branch. Sculpted by hand out of solid Czech glass, no two are exactly alike. Comes with a solid brass table stand for display. 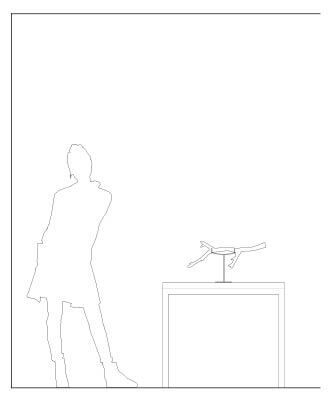 Stand available in two finishes: dark oxidized / brushed brass.